Listen, here in America, it's typically frowned upon to put your baby to work. Gone are the good old days when parents had kids (and kept having them) simply so they could enjoy some free labor in their shops, factories, or on the farm! Man, when the house is a mess and there's a ton of yard work to be done, we're not gonna lie and say we don't sigh just a little wistfully and wish that we lived in a time when it was still perfectly acceptable to send our kindergartener out to do our grocery shopping. After all, those parents knew how to get a return on their investment! These days, we just spend money and time and more money on our kids, and then how do they pay us back? By moving back in with us in their 30s and expecting us to do it all over again, that's what! So if you want your baby to learn that there's a new sheriff in town, and that their only job isn't just to be totally and completely adorable, then we highly suggest you send them to the North Pole to start learning how to earn their keep. 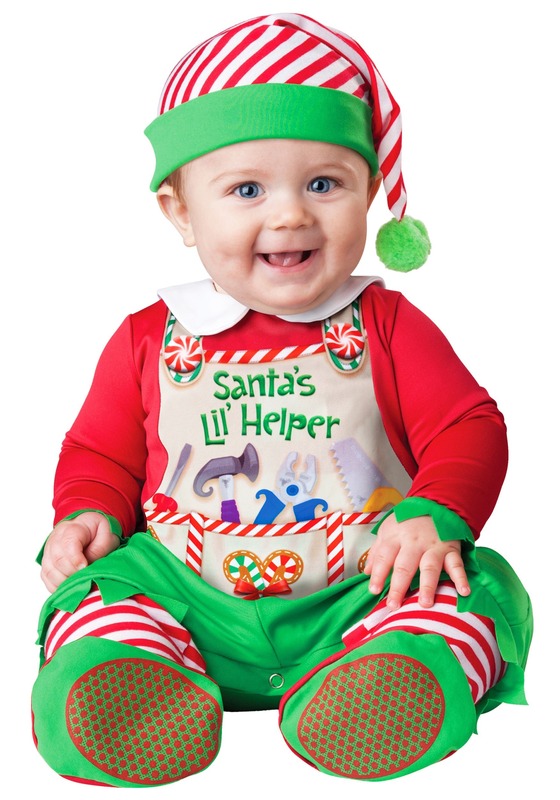 Current labor laws in your state (probably) prevent you from sending your toddler to work in a factory, but when it's at the North Pole for Santa Claus, no one will even argue!